Preheat oven to 375°F. Mix flour, sugar, baking powder, baking soda, salt, cinnamon, and nutmeg in a large bowl. Add pumpkin, 1/2 cup of water, and raisins. Stir until just mixed. Spoon batter into oil-sprayed muffin cups, filling to just below the tops. 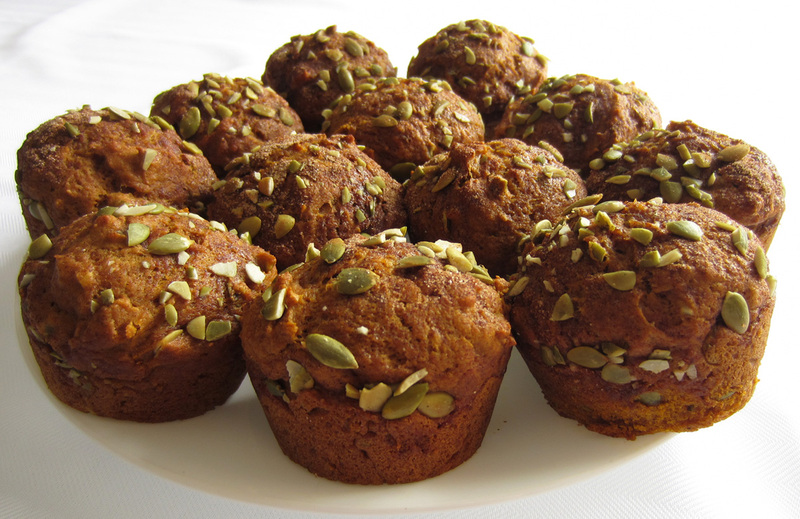 Bake 25 to 30 minutes, until tops of muffins bounce back when pressed lightly. Remove from oven and let stand 5 minutes. Remove muffins from pan and cool on a rack. Store cooled muffins in an airtight container.